Zoinks! 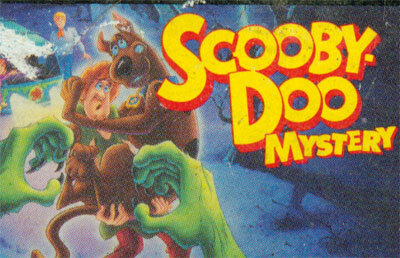 Scoob and the gang have made their way to the Super Nintendo in SCOOBY-DOO MYSTERY. Ghosts are haunting the Drabwell Ranch and a crazy pirate is running Deadman's Cove. It's up to Shaggy and Scooby our fearful heroes to get to the bottom of things and solve these two mysteries. Along with help from Freddy, Velma, and Daphne, you'll have to guide Shag and Scoob through all kinds of scary scenes, collecting clues and trying to figure out what's going on and maybe picking up a Scooby Snack here and there! By finding necessary objects and solving various puzzles, you'll be able to solve both mysteries in no time if you don't get spooked, that is!